perhaps teaching will be different from before. “Inquiry shaped our belief that pedagogical documentation furthers a strength-based image of children, makes their thinking visible, provides for student and teacher reflection and helps drive a co-constructed responsive curriculum . . . Pedagogical documentation is powerful and important when put into practice with our students.” Those are the words of Surrey elementary teachers Hilary Wardlow, Kerri Hutchinson, Laura Verdiel, Lora Sarchet, Niki Leech, and Courtney Jones as they recently celebrated their journey to better understand and implement pedagogical documentation. Where did their learning begin? 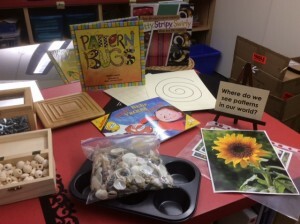 Hilary, Lora and Niki attended Pedagogical Documentation as a Professional Development Tool sponsored by the Vancouver Reggio Consortium Society in October 2014, which sparked their interest in pursuing their learning further. They decided to put forward an application to the Britich Columbia Teacher’s Federation (BCTF) Teacher Inquiry Program to explore pedagogical documentation and extended an invitation to other SD36 Reggio inspired educators: Courtney, Laura and Kerri, to join them. They were awarded the BCTF Program for Quality Teaching grant in late November, jointly sponsored by the BCTF, the Surrey Teachers’ Association (STA) and Surrey Schools (SD36). 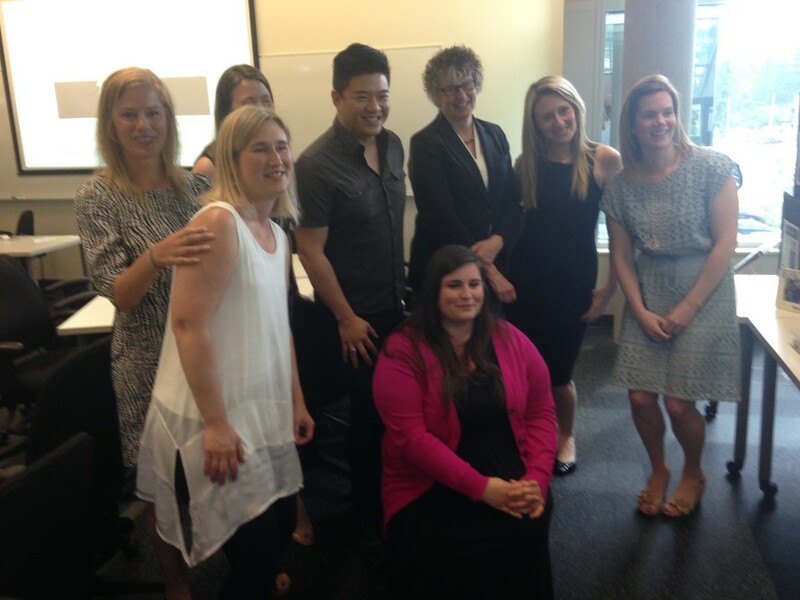 BCTF Inquiry Facilitators Henry Lee and Catherine Quanstrom provided their expertise in guiding the team in monthly ½ day sessions. In addition to release time for inquiry sessions, the group used grant funds to observe classes at Meadowbrook Elementary School, the Reggio inspired elementary school. Classroom teachers, Harpreet Esmail and Shannon Bain, hosted the team’s visit to observe student-led inquiry and pedagogical documentation, generously debriefing their learning. As well, the team attended four evening dinner sessions focused on pedagogical documentation which were facilitated by Bev Superle, Director of Vancouver Reggio Consortium Society and hosted by SD40. The team connected regularly through release-time, self-directed Pro-D, Twitter (#sd36reggio) and Facebook as they explored numerous digital and non-digital ways of documenting learning. Their celebratory slideshow below provides a brief summary into their learning. Simultaneously, many of these same educators, with the addition of Sandra Ball, (Inner City Early Learning Helping Teacher), Sarah Schnare, Carrie Donahue, Julia Thompson from Surrey and teacher teams from four other districts (Richmond, Delta and Burnaby) were engaged in a Cross-District Reggio-Inspired Mathematics Project. Based on the BC Association of Mathematics grant proposal submitted by Richmond teacher consultant, Janice Novakowski, the participating districts asked the question, “Beyond problem-solving which is inherently inquiry-based, are there other practices that nurture mathematical inquiry?” In total, twenty teachers were involved in this pilot. This group also intentionally set out to foster the creation of an active reggio-inspired professional learning community through “encouraging an online presence and sharing experiences through twitter and blogs.” Share, share, share. Whether it was through workshops, release days of active face-to-face learning, teachers were engaged in deep learning around their own professional practice and widening the circle to include others across the province. Just as they explored how children could document their learning, these teachers were equally committed to documenting and making their own learning visible for others. 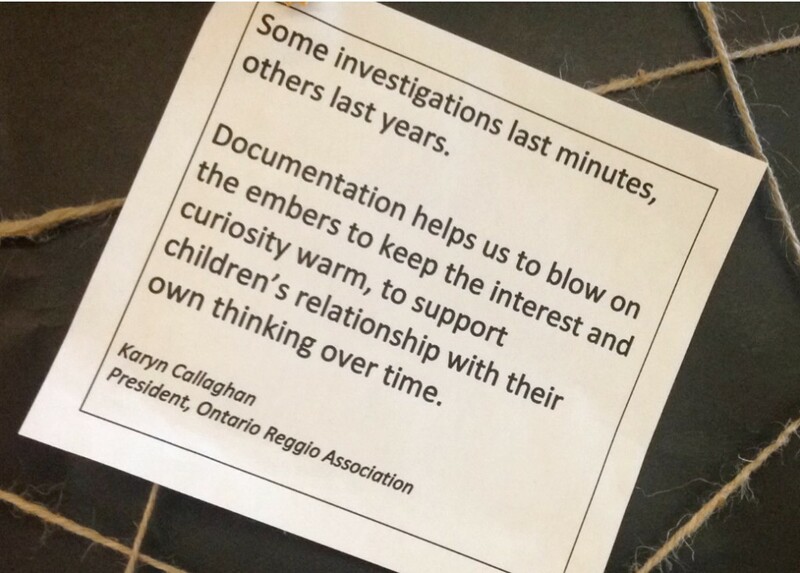 Both of these professional inquiry groups used Reggio Emilio practices as a foundation from which to explore, build and renew their learning journey as teachers. As these educators were encouraged to create joy and wonder in their own students’ learning, they found unanticipated joy and wonder in their own learning as well. Author’s Note: Special thanks to Teacher Consultants Sandra Ball and Janice Novakowski and Reading Advocate Courtney Jones for their contributions to this article.